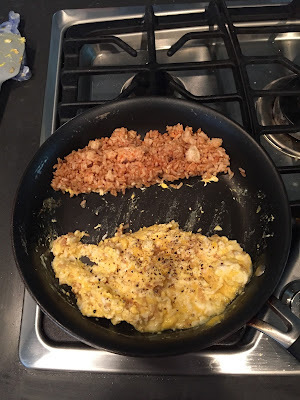 After recent inquires regarding the hype behind cycling and fried rice, I figured that I would share my personal creation of fried rice, along with minimal nutrition concepts. Dr. Allen Lim and Skratch Labs are largely responsible for cyclists adopting rice, as a staple, instead of pasta. 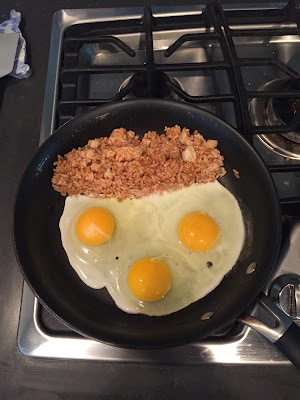 In an attempt to stimulate taste buds and nourish fatigued cyclists, enter fried rice. Before beginning to cook, leftovers are ideal for stir fry recipes. Therefore, keep a well-stocked refrigerator. 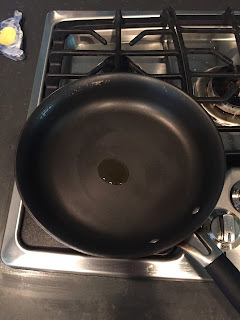 While heating a pan, with a small amount of olive oil, begin to assemble all of your stir fry ingredients. With a pan warming on medium/high heat, the process will move quickly. A hot pan is necessary for stir fry creations. A little olive oil goes a long way. With a warm pan, spread the olive oil. Next, add a generous amount of rice. For this creation, I utilized brown jasmine rice. After adding the rice, include soy sauce and hot sauce for taste. 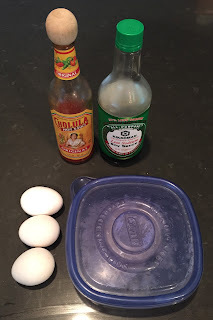 With rice, soy sauce, and hot sauce mixed in a warm pan, shuffle the solution to one side of the pan. With one side of the pan free, scramble eggs. 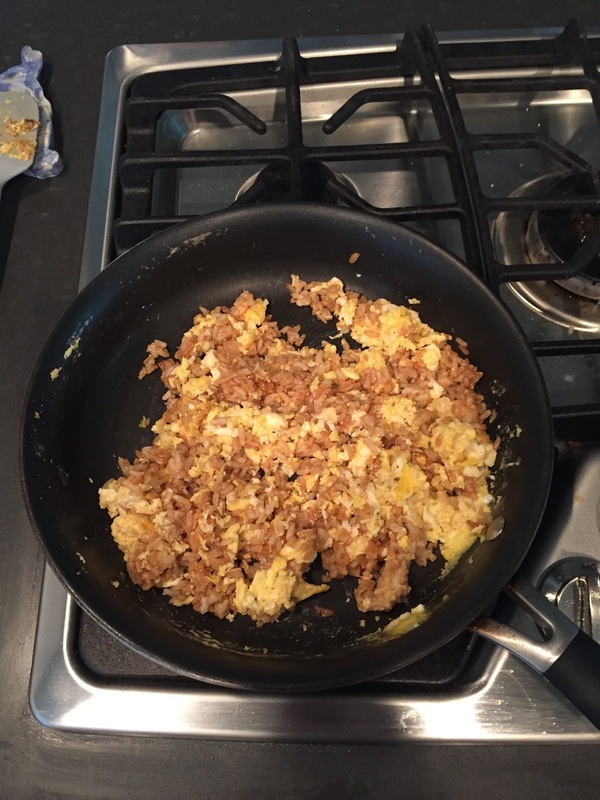 With scrambled eggs, consider adding crushed pepper or seasoning salt. After the eggs are well-cooked and no longer runny, mix the rice and eggs together. Briefly join the rice and eggs, before moving contents to an eating bowl. Afterwards, consider adding soft vegetables. Harder vegetables can be mixed and warmed, while the pan is still hot. 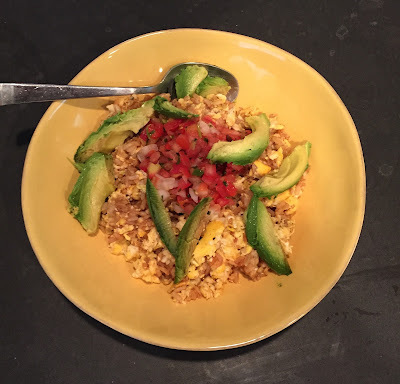 On this occasion, fresh salsa and avocado provided the final touches. With a hefty stir fry meal, consider that a plethora of calories are included. However, personal customization allows for the inclusion of many food groups. Brown jasmine rice = carbohydrates with a low glycemic index, or long lasting fuel. Soy sauce and hot sauce = sodium, to replenish stores lost while riding. Salsa = anti-inflammatory agents, to aid in recovery. Now, go on an adventure and munch on your personal fried rice creation afterwards! Enjoy.